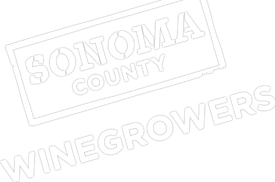 Nominations are being sought for the Sonoma County Winegrape Commission Board of Directors. There are three Board Commissioners and four Alternates standing for re-election plus, three open seats. Nominations are due by May 4, 2015. Individuals, owners, management level employees or representatives on behalf of a producer that is a sole proprietorship, family ownership, partnership, corporation, limited liability company, or trust entity willing to serve on the Commission Board, should contact Andriana Duckworth at [email protected] to request a nomination form. Any individual who seeks nomination should be in compliance with all Commission law, bylaws, conflict of interest codes, and procedures, including but not limited to payment of assessment. The nominee shall submit to the Commission no later than May 4, 2015, a written notice of his or her intent to seek election. Eligible nominees will be listed on the 2015 Commission Ballot and sent to all producers no later than May 15, 2015. Ballots must be returned by June 1, 2015.